At the recent National Convention several auction houses displayed items from their upcoming on-line auctions. Leland's was on hand to display some rare wire photos. Below are some great pics from their Summer Auction closing later this month. 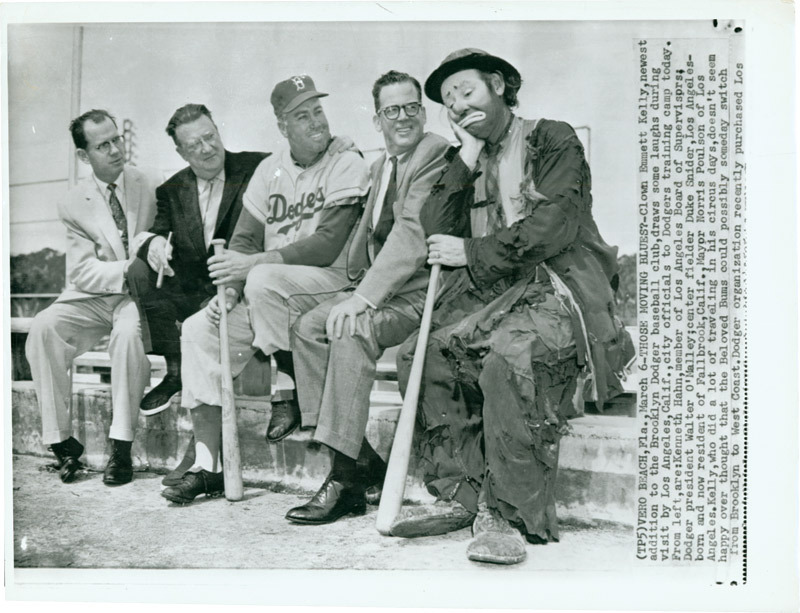 * Auction 211: Above is a 1957 photo of the despondent Dodger "Bum." 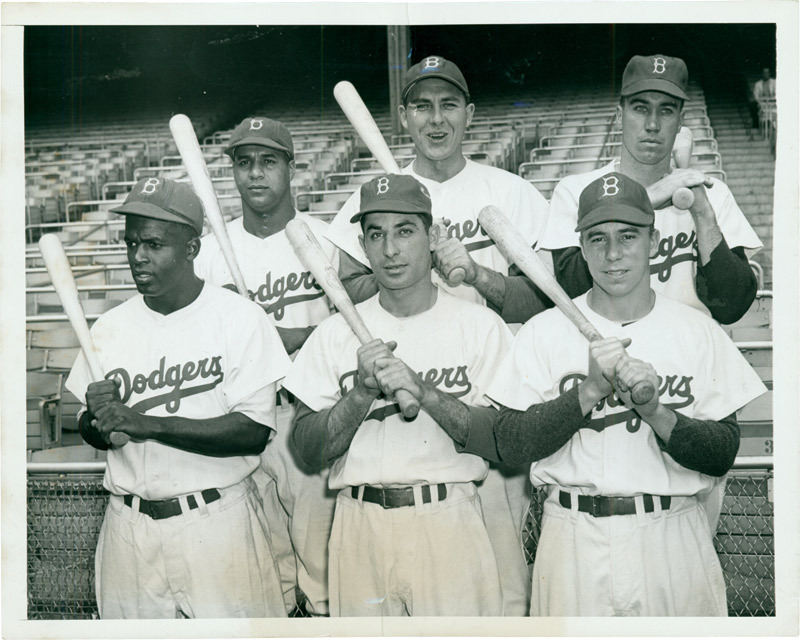 The Dodgers are moving to California. 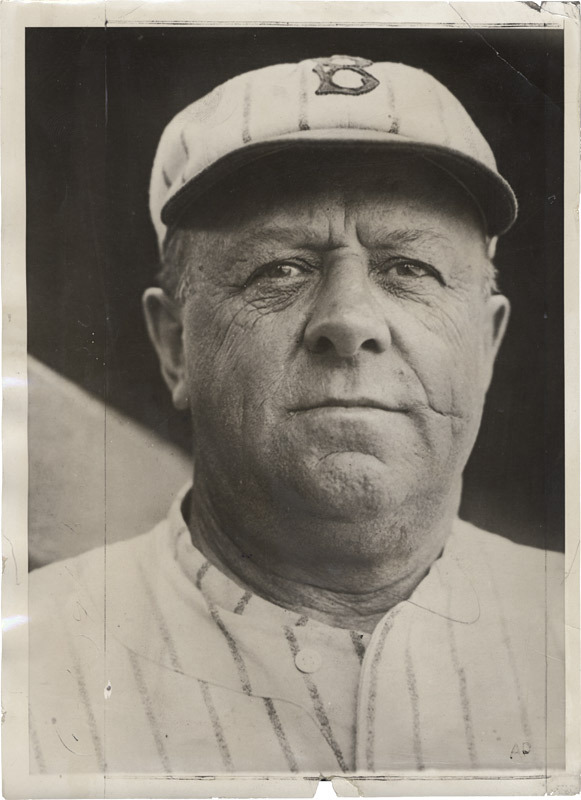 * Auction 207: Above is a portrait of former Dodger skipper Wilbert Robinson. 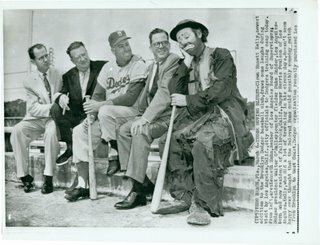 *Auction 1536: Below is one of the most unusual wire photos of one of the most significant events featuring the Dodgers and the Giants. 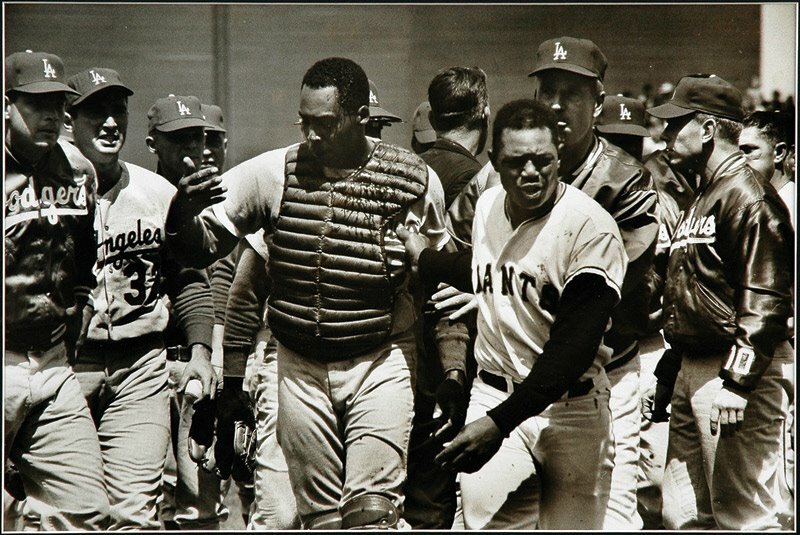 It is the aftermath of Juan Marichal's bat swinging incident against John Roseboro in 1965. 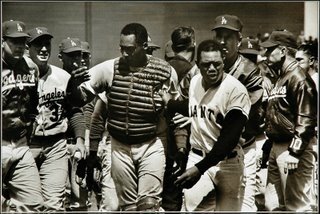 Check out the blood on Roseboro's catchers vest. All day I've been sitting in my office wondering... 68... 68 pitches in 8 innings... How is that possible? My only answer is that it's not. Last night did not happen. I'm convinced that I'm still asleep. It's Saturday night and the Sunday morning rising sun is about to wake me up. I'm in bed dreaming of Blue skies, Koufax like pitching and walk off homeruns. At any moment my dog will jump onto my bed and start licking my face. I can hear my dog screaming at me now. "Wake up you lazy SOB! Get me some food! It better be that stuff in the can... that stuff is good!" I'll have to mumble back, "no... you're on a diet." Fortunately, that has not happened yet. I still lay motionless in bed with dreams of beautiful Blue wonders. A visible smile, across my face, can be seen by all. Over the weekend the LA Times had a great story about Kenny Lofton. In the article it mentioned that Kenny was a member of the 1988 Arizona Wildcats with other notables Sean Elliott, Steve Kerr and Tom Tolbert. More importantly, the team did what every championship caliber team did in the 80's, they made a rap video. Check it out below.